Candidates who want to get Police Jobs have great news! 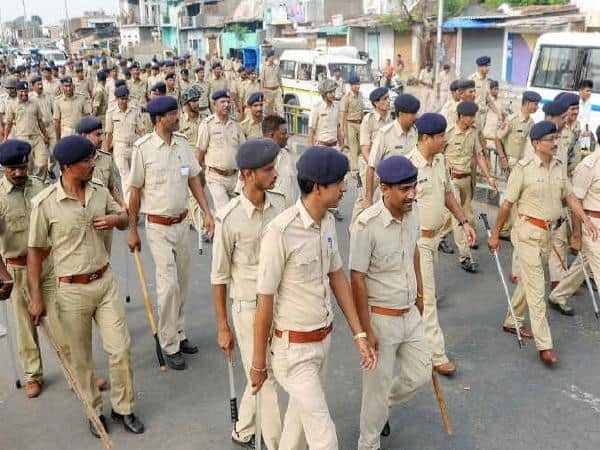 Recently West Bengal Police Recruitment 2019 notification has been released West Bengal Police. As per it, the board has announced 8419 vacancies for the Male Constable posts. Those who want to get the Constable Job can apply for the WB Police vacancies 2019 by filling an application form on or before the last date that is 05 March 2019. For General/OBC Candidates -Rs. 170/-. For SC/ST Candidates - Rs. 20/-. Step 1: Open www.wbpolice.gov.in that is the official portal of West Bengal Police. Step 2: After opening the home page press the “Recruitment” link from the top menu bar. Step 3: On the next page hit on “Get details” link visible in the front of “Recruitment to the Post of Constables (Male) in West Bengal Police - 2019 post. Step 4: Thereafter on the next page “Notice regarding inviting Application in c/w recruitment to the Post of Constables (Male) in West Bengal Police - 2019” link. Step 5: Read the details of notification carefully. Step 6: Go back to the previous page and hit on “Information to applicants for "off-line" Submission” link for offline submission of application and “Information to applicants for "on-line" Submission” link for the online submission. Step 7: Finally fill and submit the application as per the guidelines and rules of the organization.